I believe that pregnancy can offer an empowering journey that affirms your experiences and cultivates your intuition. I aspire to create classes that are caring, supportive, and tailored to my students. The breath awareness, relaxation techniques, and strengthening postures you learn here can be carried into labor, the initial postpartum months, and parenthood in general. 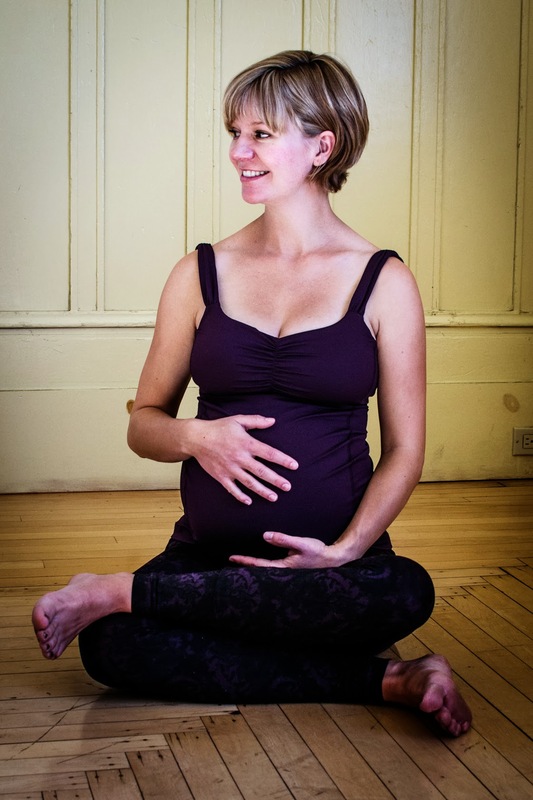 Prenatal yoga provides space and time for you to bond with your baby and connect to your own intuition within an affirming community. It can ease the common aches and pains of pregnancy. It can also contribute to an easier labor and quicker healing post-partum. Prenatal yoga is a gentle approach to strengthening and stretching your body. It is appropriate for people who are new to yoga or is a great complement to established yoga practices. I also enjoy working with you postpartum. Beyond the cultural compulsion to “get your body back” after your baby, there is little guidance on how to engage, restore, or soothe your body, your emotions, and your mind after your baby is born. Our general ignorance around self-care and rehabilitation can lead to greater pain or more weakness, especially in our core and pelvic floor. The “fourth trimester,” that initial period immediately following your baby’s birth, can be a confusing, lonely, and difficult time that can lead to postpartum depression or a loss of self-confidence. Caring for yourself is vital to your health. Yoga can be especially helpful for centering yourself and re-energizing yourself. I blend my training in the pelvic floor with my understanding of postpartum yoga to create private sessions and workshops that address your individual needs. If you want our sessions to serve as a kind of retreat from parenting, then we can focus on your needs separate from your baby. If you’d like to learn how to incorporate your baby into your yoga practice, then we can use our sessions for that purpose. My goal is to collaborate with you so that you get the practice you need and deserve.